This guide helps you make ringtone for iPhone 6 (Plus), 6s (Plus), iPhone SE, iPhone 7, iPhone 8, iPhone X and other iPhone models. "To tell the truth, I'm a little tired of the default iPhone ringtone. Many guys use the same iPhone ringtone. We always feel confused when an iPhone rings. So, anyone knows how to make unique ringtones for my new iPhone 6?" How to Set Any Song as Your iPhone 6 Ringtone? WinX HD Video Converter Deluxe - Free download any songs and convert them to iPhone 6/6s(Plus)/SE/7/8/X ringtones. How to Free Get Songs for iPhone 6 Ringtones? Many people want to set hot songs, such as Shakira Dare La La La, We Are One, Taylor Swift's Shake It Off, Blank Space as iPhone ringtone, but don't know how to make it. Desire to set your favorite songs as iPhone 6 ringtones? Firstly, you should figure out how to get your favorite songs, preferably free. And then how to make music songs as iPhone 6 ringtones. There're many ways to get songs, like iTunes and Google Play. But free option is not easy to reach. Luckily, a YouTube downloader program can help free get songs from YouTube where almost all songs are included. When it comes to YouTube downloader, WinX HD Video Converter Deluxe is highly recommended. It is able to free download any YouTube videos, including popular music videos, like Shakira Dare La La La, Let It Go. Thanks to advanced technologies, it outputs all YouTube songs with high quality at super fast speed. Only three simple steps are required to free download YouTube songs: click "YouTube URL" to add URL > paste and analyze URL, and select music video resolution > begin downloading. By this way, you can get any song as you like for iPhone 6 ringtone. Read on to see how to convert them to iPhone 6 ringtones. >> YouTube to Ringtone Maker Converter for iPhone 7/Plus etc. How to Make iPhone 6 Ringtones with Your Songs? 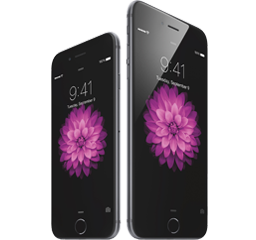 Before making iPhone 6 ringtones, it is necessary to figure out the iPhone 6 ringtone format. Not all audio files can be saved as iPhone 6 ringtone directly. The music you played on iPhone, no matter it is purchased from iTunes or converted from other source, is in .m4a. But the ringtone format for iPhone, including iPhone X/8/7/6s/6 (Plus)/5S/SE, is M4R with AAC audio codec. And then all you need is an iPhone 6 ringtone maker which is capable of converting your beloved songs to iPhone ringtone format with the file extension of .m4r with AAC audio codec. Good news is that WinX HD Video Converter Deluxe also works well in iPhone ringtone creating. After several mouse clicks, it can deliver high quality iPhone ringtone from your songs with superfast speed with the help of hardware encorder. 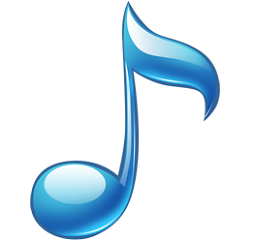 Just download, install and launch this iPhone ringtone creator, and then start to make iPhone 6 ringtones. For Mac users, WinX HD Video Converter for Mac is the way to go. Step 1. Click "+ Video" to load your music video. Step 2. Choose iPhone Ringtone as your output profile. Step 3. Specify destination folder to store the ringtone for your iPhone 6. Step 4. Hit RUN to begin converting the songs to iPhone 6 ringtone. After that, you can sync the ringtone to iPhone 6/6s (Plus) via iTunes. And then just set it as your ringtone on iPhone 6/6s (Plus). Better still, you're allowed to set different ringtones for different individuals. 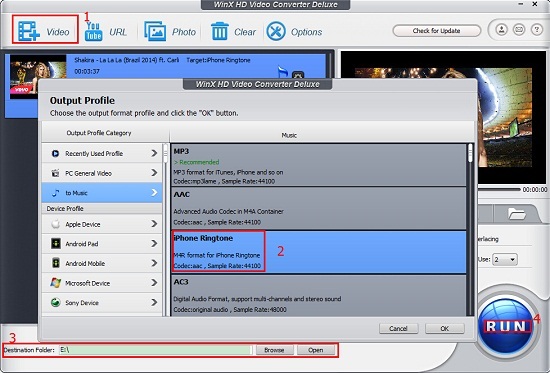 What's more, you can extract background music of certain movie as you iPhone ringtone with WinX HD Video Converter Deluxe. Besides making iPhone 6 ringtones, it is also available to extract audio files from videos in MP3, AAC, AC3, WMA, AIFF, WAV, FLAC (lossless audio) and more. WinX HD Video Converter Deluxe - It is a piece of all-in-one video software capable of converting SD/HD/UHD videos, free downloading videos/songs from YouTube and other 300+ sites, making photo slideshows and editing videos.